Trump's trip to Iraq was shrouded in secrecy, which has been standard practice for U.S. presidents flying into conflict areas. During his three-plus hours on the ground, Trump did not meet with any Iraqi officials, but spoke on the phone with Iraqi Prime Minister Adel Abdul-Mahdi. He stopped at Ramstein Air Force Base in Germany on his way back, for a second unannounced visit to troops and military leaders. Trump's Iraq visit appeared to have inflamed sensitivities about the continued presence of U.S. forces in Iraq. The two major blocs in the Iraqi parliament both condemned the visit, likening it to a violation of Iraqi sovereignty. Trump spoke on the phone with the prime minister, but the White House said security concerns and the short notice of the trip prevented the president from meeting him face-to-face. The prime minister's office said "differences in points of view over the arrangements" prevented the two from meeting but they discussed security issues and Trump's order to withdraw U.S. troops from Syria over the phone. Abdul-Mahdi's office also did not say whether he had accepted an invitation to the White House. But Trump press secretary Sarah Huckabee Sanders told reporters on the flight back that the Iraqi leader had agreed to come. 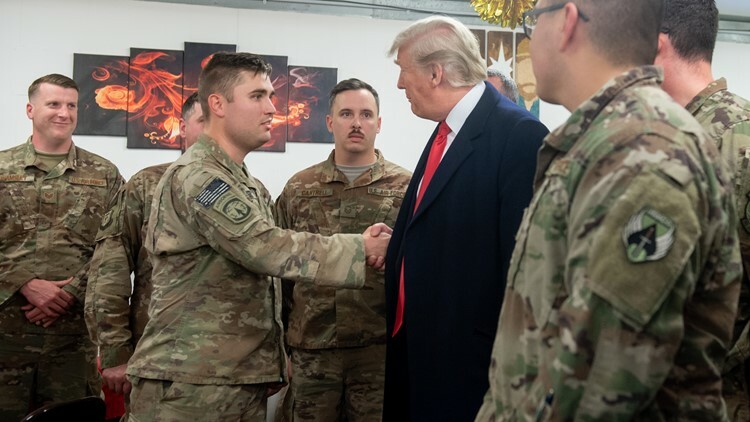 US President Donald Trump greets members of the US military during an unannounced trip to Al Asad Air Base in Iraq on December 26, 2018. 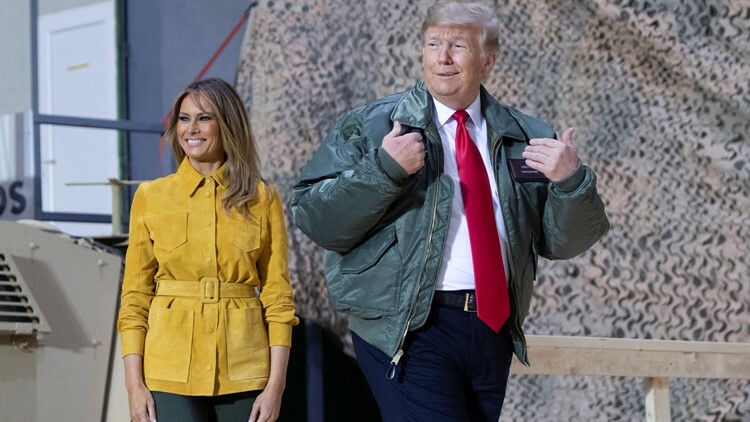 US President Donald Trump and First Lady Melania Trump arrive to speak to members of the US military during an unannounced trip to Al Asad Air Base in Iraq on December 26, 2018. 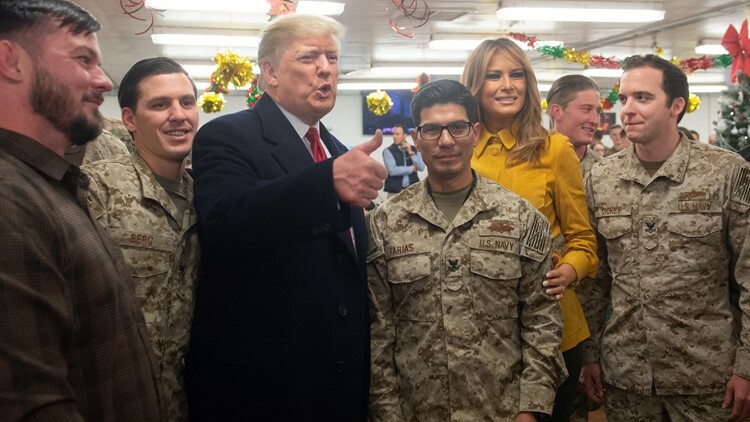 US President Donald Trump and First Lady Melania Trump greet members of the US military during an unannounced trip to Al Asad Air Base in Iraq on December 26, 2018.